Today is one of those “I’m feeling stabby” days. So I went back and found the photo. Huh? That woman does NOT look as if she’s feeling stabby. She’s smiling, happy, and, aside from the claw-like curve to her right hand**, looks pretty damned relaxed. Not at all stabby. I almost gave up on today’s stabby theme. And then it hit me: this photo is perfect for today’s post. Why? Because the reason for my stabby feelings is that I’m struggling with two characters’ friendship in the opening pages of my new project. I’m struggling to smooth out their interactions so as to establish their relationship and character arcs, and suddenly, it feels as if the first 60 pages are a steaming pile of mixed messages. 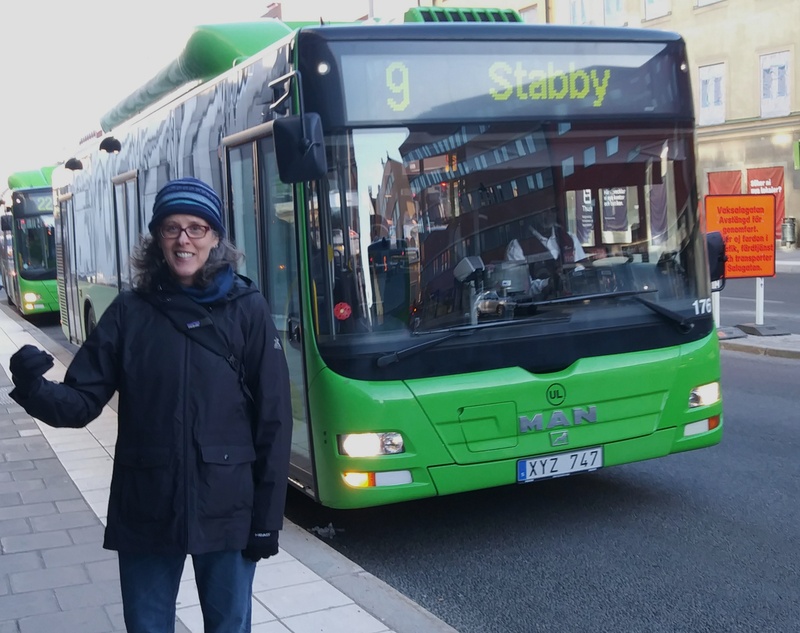 So what better photographic representation of mixed messaging than this photo of the smiling me next to the Stabby bus? HA! I’m suddenly feeling slightly less stabby. ** me simulating holding a pointy object in preparation of stabby motions.